Nissan RB26DETT Engine Management Issue - How to Fix it! 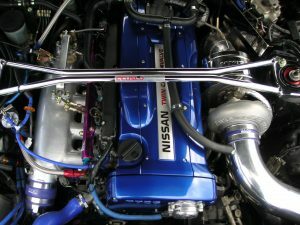 Nissan RB26DETT Engine Management Issue. 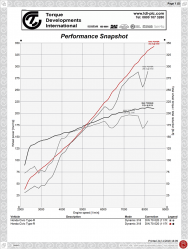 The Nissan RB26DETT engine management has an issue! The engine has powered the legendary Skyline GT-R32, 33 and 34 models for decades. It’s a great engine and is capable of exceptional performance when built well. In terms of engine management systems, many owners seem to like the old-school solutions such as Apexi Power FC, old versions of HKS FCON V Pro etc which have architecture that is decades old. 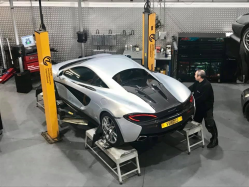 There are modern ECU solutions available for the RB26DETT such as Syvecs, Link, etc, many of which are “plug and play” for ease of installation, which are much better than the old technology. 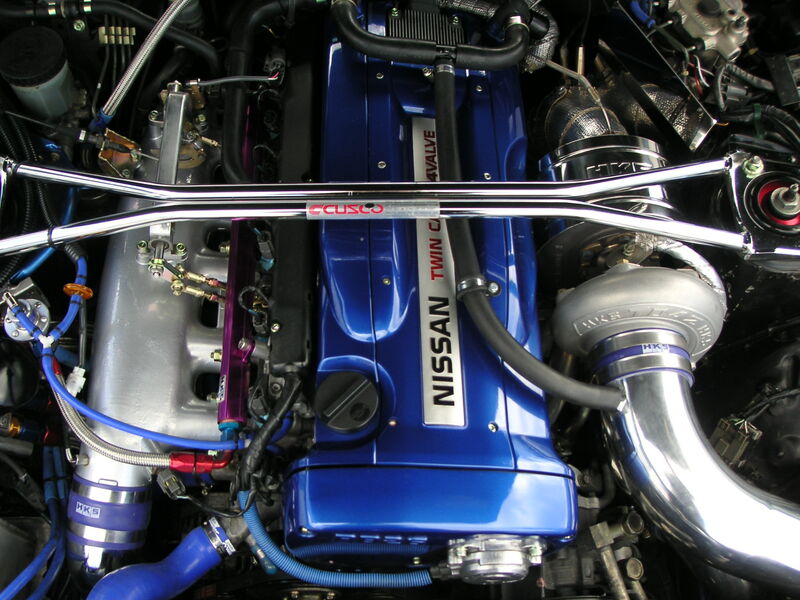 However there remains a fundamental Nissan RB26DETT engine management issue! 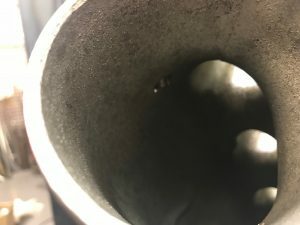 If you were to datalog the air intake temperature during a dyno run, you’ll notice that the sensor is very slow to respond. In fact it’s not usual for it start responding after as long as 12 to 15 seconds which is far too late. We need sensors to monitor in real-time and react immediately! The reason for this issue is rather obvious. In fact there are two reasons. Fortunately the solutions are too! Below you can see a photo of the original Nissan air intake temperature (AIT) sensor on the left, and a modern Bosch IAT sensor on the right. 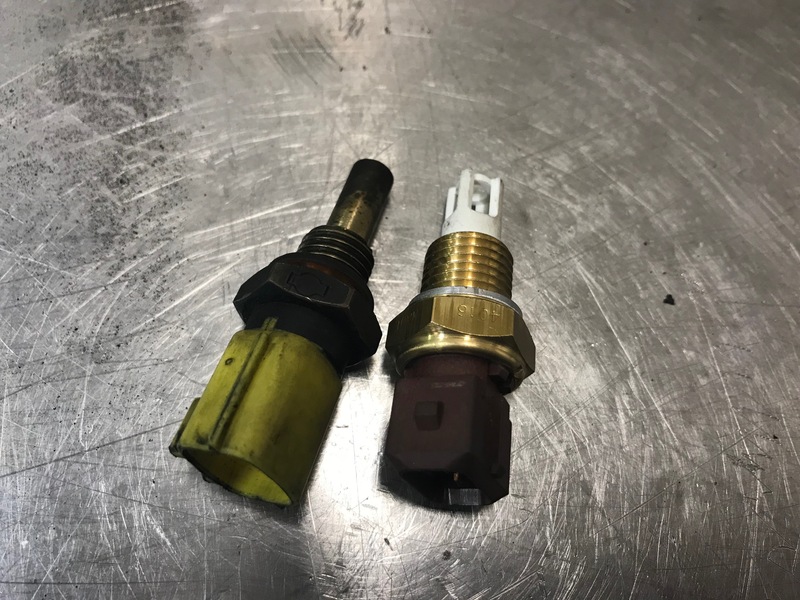 The 1st issue you’ll note is that the Nissan IAT sensor is more akin to a fluid temperature sensor whereas the Bosch IAT sensor is open so it allows air to pass directly over the thermocouple head which allows it to measure instantly. The second issue is that sensor doesn’t penetrate far enough into the plenum, so it’s only measuring the boundary layer. In the photo below, you can just about see the standard Nissan AIT sensor protruding by only a few millimetres into plenum. The photo below shows the Bosch AIT sensor fitted, which protrudes further into the plenum so is in a better position to monitor and react. 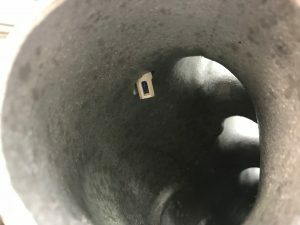 This solution is fairly simple to implement, requiring drilling and tapping of the sensor hole, machining the sensor boss to lower the mounting position, and a different connector plug. This solution is compatible with most old and modern ECU solutions, and will work properly in real-time therefore allowing your engine to perform better and survive longer.